Although he’s covered political campaigns, writing about the inner workings of government was a first for Mr. Lewis…he approached it the same way he’s infiltrated other seemingly impenetrable institutions. Good - But you need to know what you are getting. When he became a father, Michael Lewis found himself expected to feel things that he didn't feel, and to do things that he couldn't see the point of doing. At first, this made him feel guilty, until he realized that all around him fathers were pretending to do one thing, to feel one way, when in fact they felt and did all sorts of things, then engaged in what amounted to an extended cover-up. 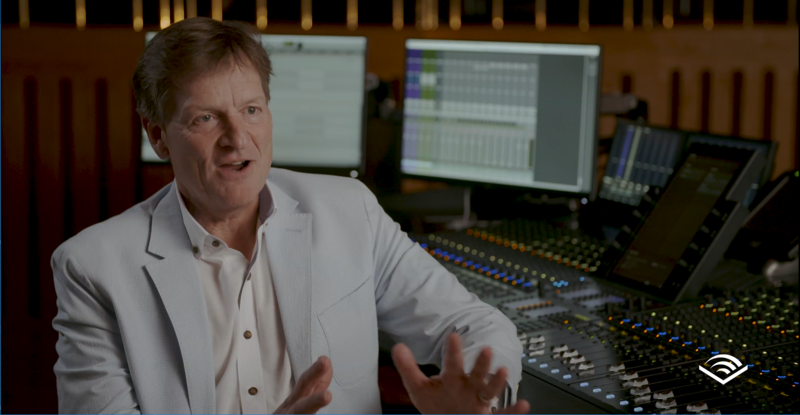 A best-selling and critically acclaimed author, Michael Lewis is also the narrator of his Audible Originals for Audible Studios. Lewis is renowned for disrupting industries and exposing systemic injustices by probing the lives of individual people in his previous works. Want the lowdown on the financial system? Understand the industry through the moves of one shark finessing it in Lewis’s nonfiction classic The Big Short. Yearn to learn how baseball really works? Feast your ears on Moneyball, and listen to the men who uncovered the hidden numbers game within the game. Tough issues of race and class become relatable in The Blind Side as Lewis tells the true story of a black high school student living with an evangelical family. 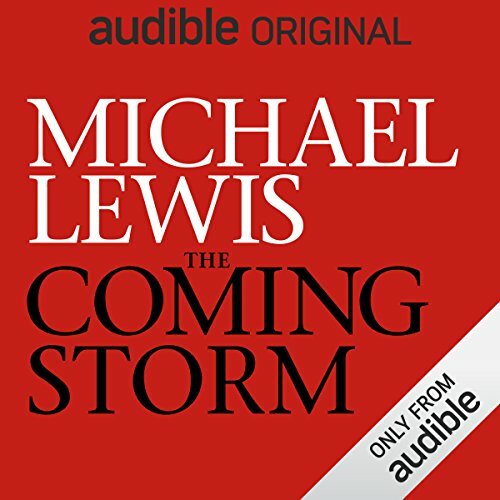 In The Coming Storm, the first one of four Audible originals to come from Lewis, he focuses his unique brand of nuanced reportage on the implications of state-of-the-art weather data. If you enjoy the way The Coming Storm makes complex systems seem transparent, here are recommended next listens on similar topics. We asked the Audible scientists (yes, there is such a thing!) to examine the “DNA” of The Coming Storm, including topics covered, writing style of the author, ratings and reviews from our listeners, and analysis of many other elements. They combed our catalogue of favorites to identify titles of similar style and quality. The age of Big Data is upon us, and mostly what we hear are the troubling and potentially terrifying consequences of business and government having easy access to all of our data. That's a real problem that we have to devote time and attention to dealing with. Yet Big Data can do many other things, many of them very beneficial. The misnamed Department of Commerce collects enormous amounts of data about, among other things, the weather. Before the growth of the internet into its modern form, that data mostly sat on paper, and later on tape, and eventually some of it on servers, in the bowels of NOAA--the National Oceanic and Atmospheric Administration, inside the Commerce Dept. Then a grad student with the foresight to see how useful vast stores of data could be went looking for weather data to test out a theory for his research, and stumbled upon a hole in the Commerce Dept. systems that let him download that data and work with it. He didn't even know that it was the Commerce Dept. he'd gotten into. He had no idea NOAA was part of Commerce. This book is a discussion of how much weather forecasting has improved because of NOAA's research and data collection, and what they and other clever people have been able to do with it. It's about why people still discount National Weather Service warnings that could save their lives. And it's about the private corporations that are trying to lock up that data so that, after you the taxpayer have paid for that research and data collection, you would then be required to pay again, to for-profit companies, for any use of that weather, including getting weather forecasts. You may think you get your weather news from your local tv station or Accuweather or the Weather Channel, or your favorite weather app (I have several, for different purposes), but all that data comes from the National Weather Service, which is to say NOAA. I happen to like how the Weather Channel repackages that information, but you and I and everyone with internet access can get the same information directly from NOAA's websites. Also, Accuweather is lying to you when they say they're more accurate than NOAA. They're cherry-picking particular dates and locations when their meteorologists did a better job of interpreting NOAA's data than the National Weather Service did. That will happen sometimes; someone who knows nothing about horse racing will sometimes bet on the right horse when the expert picks the wrong one. It happens. With weather forecasting, it doesn't happen often. And that data? Accuweather wouldn't have it if your tax dollars hadn't paid for NOAA to gather it. Michael Lewis gives us a clear, lucid discussion of what's going on and what it all potentially means. And also why you should not roll your eyes at the weather forecast, no matter whether you get it from the National Weather Service, or from one of the for-profit companies repackaging it for you. I received this audiobook at no cost from Audible as part of their Audible Originals program, and am reviewing it voluntarily. This felt less like a narrated story and more like a podcast, but I still very much enjoyed it. Those that listen to NPR and podcasts would enjoy this. I thought that this was a pretty good book, but not great and not really complete. I wish it could have been fleshed out a bit because I think for the complexity of the subject that 2.5 hrs isn't enough time to even get to the root of 'Privatizing weather is bad because....' problem. Although I find the current administration to be horrible, blaming the GOP leaders for All Evil is not really helpful. The other thing that was a bit strange is that the first 1/3 (maybe?) of the book was a biography of Kathy Sullivan. I found her so interesting I wish the rest of the book would have been about The Women of NASA (or something like this) I even listened to this part of the book twice, however, this really had little to do with the rest of the book. I think it needed to pick a subject and go with it. The author obviously put a lot of research into this book and was able to convey the seriousness and destructive power of tornados and thus the importance of having accurate weather forecasts. He also offered a fair deal of insight into where weather data comes from and eluded to many political as well as human issues inhibiting the progress of weather forecasting to minimize catastrophes. What made me skeptical, however, was the rather obvious black and white painting of politicians and scientists — there were very obvious heroes and just as obvious antagonists. While not entirely uninteresting, I found the tangents describing the backgrounds and (exceptional) commitment of various scientist/key contributors too long and many details at least borderline irrelevant. In contrast and yet similarly, the politicians were presented as clearly inappropriate/incompetent for the roles they were appointed to, and solely focused on their own profit without eluding to any saving grace — are these individuals truly as selfish and one-sided as presented? In my opinion, the details given in this context seemed insufficiently convincing and strongly biased by the author’s personal opinion — again, making me wonder, to some extent, about their relevance. The narration was just fine, properly read but not particularly remarkable (albeit, I particularly enjoyed the occasional moments during which the author appeared to suppress a giggle or onset of euphoria). In summary, it was a decent listen revealing some interesting insights and highlighting a tax-payed service that is probably widely underestimated. Mr. Lewis is a good storyteller. 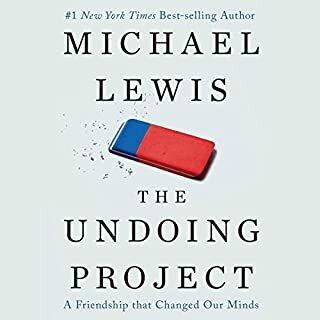 I very much enjoyed The Undoing Project but this one is not of the same quality. Perhaps that's why it's free. It seems to be an underhanded way of equating middle America's short-sighted attitude about tornados with their attitude about current politics. Is this about climate change? Not exactly. Is it a metaphor about Trump? Hard to tell. Is it interesting? Yes, but as Max Tegmark says in Our Mathematical Universe, "I find that when it comes to telling the truth, the whole truth, and nothing but the truth, it's the second part that accounts for most of the differences in how they portray reality: what they omit." I had friends whose house was wiped out in Joplin and I went the next day to help clean up. A good part of everyone's days was spent wandering around in slack-jawed disbelief. It was simply beyond words, but Lewis makes a good attempt. He also does eventually assess the problem correctly - it's not that there isn't enough warning, it's that no one can imagine the monster will come for them. Far too many people in tornado alley have not even the most rudimentary form of storm shelter. That story could have been what this book was about. But it's not. It's not even about any specific "storm" at all. It's not a clear case for anything in the future. It IS a place where lots of shots are lobbed at the Trump administration. That would be alright if the story was told in a complete fashion, but it's not. He seems to disapprove of government collected data of all sorts recently being removed from public access, but he also seems to disapprove of the private sector actually DOING anything with that data. He conflates the collection of data with data analysis, as if because the Department of Commerce has the data it is also the ultimate expert on what that data means or how it can best be used. And nowhere does he even give a hint that any of that data might be inaccurate. For instance, crime data is reported to the FBI by local police. No one seems to be aware that because of personnel shortages on municipal departments, often only one-tenth of crime reports can be processed. Federal crime statistics are way off. And he wonders why they are no longer available? Are people the solution or the problem? Is government the solution or the problem? He can't lay any solid argument, but he sure can complain and blame Trump for the sky that soon will fall. It's not a bad listen for free but there is a deep undercurrent of intellectual dishonesty that ultimately makes it a disappointment. 'The Coming Storm' tells a brief history of NOAA (National Oceanic and Atmospheric Administration) and the prediction of weather - how it has improved over time, and how we can get people to actually pay attention to the extreme weather warnings. It is rather political in it's content - discussing changes in NOAA (and Dept of Commerce) since the Trump Administration has begun. It also discussed laws and attempted laws that were trying to dismantle or cripple NOAA, in favour of private companies like AccuWeather (of which one of the founders is appointed to Dept of Commerce by Trump), despite the fact that AccuWeather gets it's data from NOAA and then just processes it differently. It goes into details on how people react to storm warnings - often ignoring them due to a 'it wont happen to me' attitude, or thinking 'home' means safe. And it looks at how NOAA is changing how it present information based on social science. 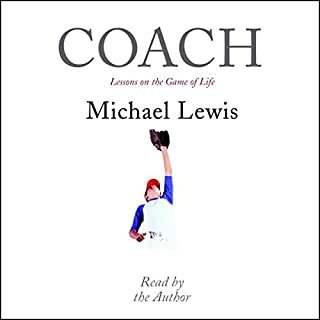 Michael Lewis narrates his own work, and it is fine narration. Nothing outstanding, but clear and well produced. I would be more than happy to listen to him narrate more of his own books. 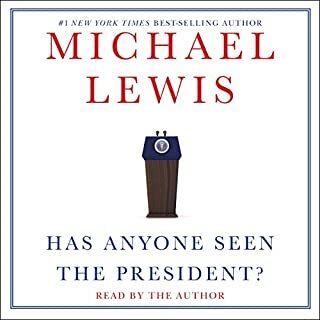 Overall a very interesting piece of work that is likely to get a lot of strong opinions from the two sides of politics - something that can already be seen in the handful of reviews on Audible already. 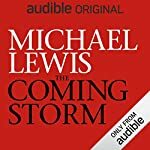 I listened to The Coming Storm without knowing anything about how it came to be an audio-only Audible Original or how Michael Lewis came to write it. Without that knowledge, what I heard was a middling tale about National Weather Service data, how it has been used to predict storms, how it has been abused by private sector forces and their government allies, and who is behind both sides of that equation -- three pivotal scientists who have elevated the efficiency of data mining and the AccuWeather owner who wants to control that data for profit. Much of the first hour provides the back story of two of these personalities, which made me feel right off the bat as if I wasn't getting what I wanted, which was analysis of what is going on with the weather. I was surprised that this was more about weather data than about the weather, but that turned out to be interesting. And then I was blown away by two unexpected elements -- how the greedy and corrupt administration is trying to make money off all of this (and other governmental) data, even if means lives will be lost to tornadoes and hurricanes, and why lives are in fact lost to storms because people ignore NWS warnings. All of these scattershot threads only made sense once I took a deeper look and learned that a) this is part (about half) of a larger work (The Fifth Risk) that is more about the neglect of the current administration and that b) most of this appeared piecemeal in Lewis's reporting for Vanity Fair before he left VF and inked a deal with Audible to write Originals. Not that there's anything wrong with any of that (except for the corruption and neglect) -- it just adds context that helps explain why The Coming Storm is what it is. 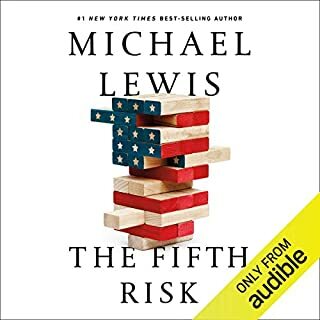 In the end, I'm happy I got it as a free Audible Original, but I will not shell out full price or a full credit for The Fifth Risk. As it is no longer available for free, I would recommend you buy The Coming Storm and skip The Fifth Risk if you're using cash, or get The Fifth Risk rather than The Coming Storm if you're using a credit. And certainly don't do either if you're going to be offended by its politics. Every American should give this a listen. It is interesting, informative, and gives a positive perspective on the power of data. very interesting book a lot of facts I hated that it ended I really wanted to hear more. Very Informative and relevant piece. It's surprising how new accurate weather prediction is. Great listen. Tornadoes, Big Data and Trump bashing! 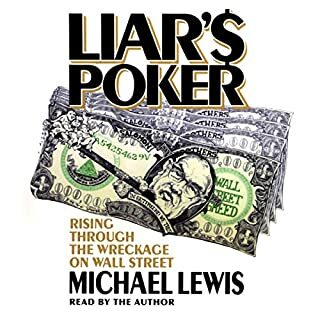 Martin Lewis is a voice I've thought worth listening to ever since the highly revealing Flash Boys passed between my ears. This one is short but packs in a very decent amount of information and of course opinion. Lewis covers the devastating impact that tornadoes in particular can have and touches on the psychology of why people ignore warnings and weather forecasts despite their dramatic improvements in usefulness over recent years. Set against the awesome power of nature of course are the weathermen and he concentrates on two scientists in particular. The role that big data plays in the science of weather prediction becomes very clear but so does the damage that can be done by its misuse. Over-hyped forecasts that erode public trust in meteorologists, the commercial use of data whereby only paying customers get storm warnings and of course the Trump administration all come in for a Lewis-fuelled bashing. I think it's well worth listening to. There is a level of political bias here (though most felt well deserved!) but the issues are important. How the data is used, the importance of public ownership of it and how government policy could send us backwards are all well worth exploring. This is a must-read book. The fact that it is Audible only is a crime. Forecasting, corruption, tornadoes, astronauts.Yes, it is that cool. 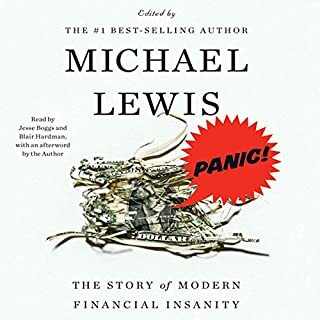 I ordered this book on the basis that if Michael Lewis writes something, then I'll read it. I thought it was going to be about global warming, but actually it is about typhoons - i.e. whirl-winds. It was quite interesting, and written with verve and colour, but it was a bit of a surprise as it didn't really seem to lead anywhere. Not my cup of tea at this moment. Boring. My fault. Had no idea what the book was about when I got it. This is a great listen overall. The only negative is that the conclusion is not quite as strong as the rest of the book.